LEROY N. LANGLEY JR., son of the late Leroy N. Langley Sr. and Beverly Langley; was born on February 10, 1956 in Baltimore, Maryland. He departed his life on August 20, 2018. Leroy received his education at Mergenthaler Vocational Senior High School in Baltimore. Upon completion of his education Leroy decided to join the United States Army at the age of 18 years old. However, after his 8 months of basic training was over, Leroy decided that the Army was not a career path that he wanted to continue. Thus, after being discharge from the army with honors, he then enrolled into the Essex Community College. Also, Leroy held down numerous home improvement jobs, while working alongside of his Uncle Chubby (Grafton Branch). “Lee” as he was affectionally called was a caring and loving man, with the wisdom of an owl. Although he never had children of his own; Leroy so loved his nieces, nephews, and cousins. Lee was a strong believer in the education of our children; always encouraging them to stay in school and make something of themselves. Lee also enjoyed writing and reading poetry, though never published. Lee was very well loved by his family and friends; and will truly be missed by everyone. 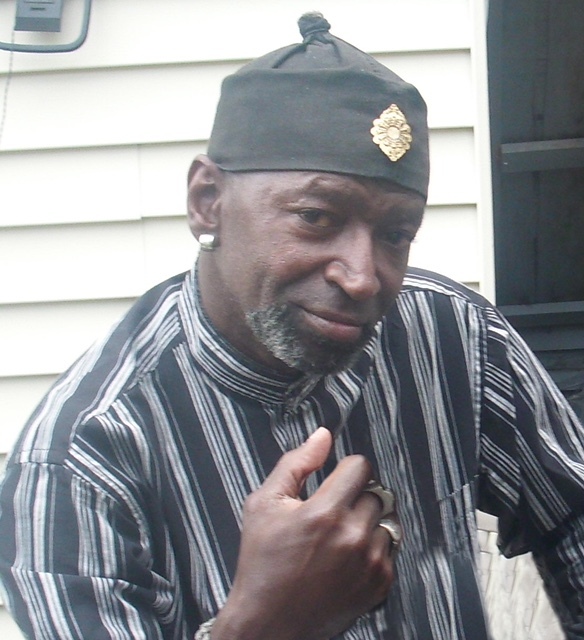 Lee was preceded in death by his two brothers, Charles (2006) and Anthony Sr. (2000). Leroy leaves to mourn: his second mother Ann Thornton; two special cousins more like sisters, Carolyn (Jamie) Thornton-Dallas, and Deneen (Paul) Slaughter-Bradshaw; one special cousin more like a brother, Ryan Thornton; two aunts, Melvina Somerville, and Rosalie Branch; one uncle Grafton (Chubby) Branch; six nieces, Donnese (Thomas) Langley-Williams, Dezirae and Alexia Black, Chai’yi and Tas’jae Dallas, and Brittany Merrick; seven nephews, Kendall Sr., Donathan, and Antione Langley, Juan Thornton, Nolan Johnson, Kharter Thomas, and Anthony Chambers; eleven great nieces; six great nephews; one best friend, Kevin Fleming Sr.; and a host of many cousins and friends.